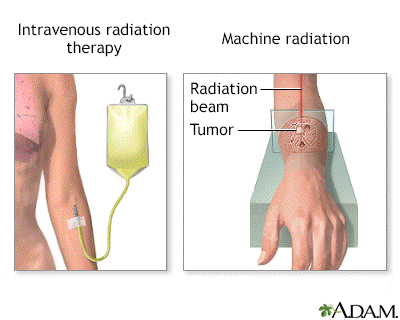 Radiation therapy is used to fight many types of cancer. Radiation targets rapidly dividing cells like cancer cells. Radiation prevents cell division and the replication of DNA (the genetic building blocks).